Booking Conditions for Alton Towers Holidays hotel packages. We aim to consistently exceed your expectations, so that when you are booking with us, you can feel confident you're with the best team there is. This section aims to bring important points to your attention. These booking conditions form the basis of your contract with Holiday Extras Limited. Holiday Extras Limited operate Alton Towers Breaks on behalf of Alton Towers Resort. The web site addresses www.altontowersholidays.com and is used by Holiday Extras Limited for the promotion of hotels with Alton Towers theme park entrance tickets. In these booking conditions 'we', 'us' and 'our' means Holiday Extras Limited. 'You' and 'your' means all persons named on the booking, including anyone added or substituted at a later date. Once your hotel package for Alton Towers Resort has been confirmed by us we will accept responsibility for it in accordance with the following Booking Conditions as an organiser under the Package Travel and Linked Travel Arrangements 2018. 1. Making your booking: The party leader must be authorised to make the booking on the basis of these Booking Conditions by all persons named on the booking and by their parent or guardian for all party members who are under 18 when the booking is made. The party leader is responsible for making all payments due to us. No child or children under the age of 16 will be admitted to the Accommodation unless they are accompanied by an adult aged 18 years or over and such child or children whilst on site must remain under the control or supervision of an adult at all times. Persons aged 16 and 17 years shall be admitted to the Accommodation without being accompanied by an adult if they can produce a valid letter of consent from a parent or legal guardian. Merlin reserves the right, in its absolute discretion to change the age restrictions referred to in this condition, if any particular circumstances so require in the interests of safety and security. All bookings must be made online via the website named above, via our Customer Experience Team or through one of our authorised travel agents. Your booking will be confirmed by a booking reference, we will reconfirm this to you and provide your confirmation by email. At the end of the booking process, you are asked to confirm that you have read and agreed with our Booking Conditions. Your booking will be confirmed by a booking reference, we will reconfirm this to you and provide you confirmation by email. We will email you a voucher which will serve as proof of payment for both the hotel and Alton Towers theme park. You will need to exchange this confirmation email at the Pre-booked Ticket Collection Desk, located at the main theme park entrance at Alton Towers to receive your entrance tickets. Please take the confirmation email with you. This voucher cannot be resold under any circumstances. To redeem your entrance tickets at the theme park you will be asked for photographic identification and/or the original credit or debit card used to make the purchase of your Short Break. Tickets must be used on consecutive days but must also be used on either the day before or the day after the overnight stay in a hotel. 3-day tickets can only be purchased with a minimum of a 2-night stay. All monies you pay to one of our authorised travel agents for your holiday with us will be held by the agent on your behalf until we issue our confirmation invoice. After that point, your agent will hold the monies on our behalf. Please note: Alton Towers Breaks uses the merchant ID 'hex*altontowersholiday' or 'HXPAYMENTS', and this will appear on your bank account statement once you have made your booking and payment has been taken from your account. 3. Your contract: A binding contract between us comes into existence when we or our Customer Experience Consultant / your travel agent gives you your booking reference. We will try to solve any disagreements quickly and efficiently. We both agree that English Law (and no other) will apply to your contract and to any dispute, claim or other matter of any description which arises between us (except as set out below). We both also agree that any dispute, claim or other matter of any description (and whether or not involving any personal injury) which arises between us must be dealt with by the Courts of England and Wales only unless, in the case of Court proceedings, you live in Scotland or Northern Ireland or the Republic of Ireland. In this case, proceedings must either be brought in the Courts of your home country or those of England and Wales or the Republic of Ireland. If proceedings are brought in Scotland or Northern Ireland or the Republic of Ireland, you may choose to have your contract and any dispute, claim or other matter of any description which arises between us governed by the law of Scotland/Northern Ireland/ the Republic of Ireland as applicable (but if you do not so choose, English law will apply). 4. Identity verification search: We will validate name, address and other personal information supplied by you during the order process against appropriate third party databases. By accepting these terms and conditions you consent to such checks being made. In performing these checks, personal information provided by you may be disclosed to a registered Credit Reference Agency which may keep a record of that information. You can rest assured that this is done only to confirm your identity, that a credit check is not performed and that your credit rating will be unaffected. All information provided by you will be treated securely and strictly in accordance with the Data Protection Act 1998. 5. The cost of your break: Holiday Extras is committed to providing the best choice of product, at the best prices, so throughout the season we continually review our products and prices. There are likely to be some seasonal special offers and in some circumstances prices may go up or down. The price of your chosen package will be confirmed at the time of booking. 6. Changes by you: Should you wish to make any changes to your confirmed break, you must notify us as soon as possible. Whilst we will endeavour to assist you, we cannot guarantee we will be able to meet any such requests. Please be aware amendments may incur an additional charge. All amendments must be made through Alton Towers Breaks at Holiday Extras. Any bookings within 36 hours of the date of ticket entrance to Alton Towers Theme Park or within 36 hours of the hotel stay, are non-amendable and non-refundable. You will have to pay the cancellation charges set out in clause 7. If you are staying on winter breaks from November to March, please note the standard terms and conditions may not apply. In such circumstances, please check full events pages for cancellation terms and conditions or call our Customer Experience team on 01303 490008 for more information. Calls are charged at local rate. 7. Cancellation by you: Should you or any member of your party need to cancel your booking once it has been confirmed, the party leader must immediately advise us. All cancellations must be made through Holiday Extras and are subject to the conditions and charges (based on the total booking cost) below. Please note: The cancellation charges of winter packages or special event packages may vary. In this case, please see events pages for further details. Cancellation protection: If you add our non-refundable cancellation protection on to your booking (at the time of booking), this will protect you if you need to cancel for any reason. Provided you cancel your booking at least 36 hours before the date of your stay (or park entry date, whichever is the sooner), then you will receive a full refund of your booking cost, minus the cancellation charge and any additional charges. Please note that if you cancel your stay within this 36 hour period, you will be charged the full cost of your booking. The Alton Towers Resort reserves the right to remove all discount offers without prior notice at any time during the promotional period. Cannot be used in conjunction with any other offer. All booking reservations must be paid in full and are non-transferable and non refundable. Bookings will only be exchanged or refunded if Merlin, in its absolute discretion, chooses to do so. Once a Standard Season Pass is purchased, it is non refundable/non cancellable. Cancellations must be performed over the telephone during our opening hours of 09.00 — 21.00 Monday to Friday and 09:00 and 17:30 Saturday and Sunday. Cancellation requests via email or voicemail will not be processed. 8. Changes and cancellation by us: Occasionally, we have to make changes to and correct errors on websites / brochures and other details. This may happen both before and after bookings have been confirmed, and we reserve the right to cancel confirmed bookings if necessary. A change of accommodation to that of a lower official classification or standard. A change of accommodation area. (b) purchasing an alternative Alton Towers break from us, of a similar standard to that originally booked if available. If the chosen alternative is less expensive than your original one, we will refund the difference. 9. Force Majeure: Except where otherwise expressly stated in these booking conditions, we regret we cannot accept liability or pay any compensation where the performance or prompt performance of our contractual obligations is prevented or affected by or you otherwise suffer any damage or loss (as more fully described in clause 9 (a) below) as a result of 'force majeure'. In these Booking Conditions, 'force majeure' means any event which we or the supplier of the service(s) in question could not, even with all due care, foresee or avoid. Such events may include war or threat of war, riot, civil strife, terrorist activity or actual threatened terrorist activity, industrial dispute, natural or nuclear disaster, adverse weather conditions, fire and all similar events outside our control. The fault of the person(s) affected or any member(s) of their party. The fault of a third party not connected with the provision of your break which we could not have predicted or avoided. An event or circumstance which we or the supplier of the service(s) in question could not have predicted or avoided even after taking all reasonable care (see clause 9). Please note, we cannot accept responsibility for any services which do not form part of our contract. This includes, for example, any additional services or facilities which your hotel or any other supplier agrees to provide for you where the services or facilities are not advertised on our websites and we have not agreed to arrange them. (c) The promises we make to you about the services we have agreed to provide or arrange as part of our contract will be used as the basis for deciding whether the services in question had been properly provided. Please note, we cannot accept any liability for any damage, loss, expense or other sum(s) of any description (a) which on the basis of the information given to us by you concerning your booking prior to our accepting it, we could not have foreseen you would suffer or incur if we breached our contract with you or (b) which did not result from any breach of contract or other fault by ourselves or our employees or, where we are responsible for them, our suppliers. Additionally we cannot accept liability for any business losses. (d) You must provide ourselves and our insurers with all assistance we may reasonably require. You must also tell us and the supplier concerned about your claim or complaint as set out in clause 11 below. If asked to do so, you must transfer to us or our insurers any rights you have against the supplier or whoever else is responsible for your claim or complaint (if the person concerned is under 18, their parent or guardian must do so). You must also agree to cooperate fully with us and our insurers if we or our insurers want to enforce any rights which are transferred. 11. Complaints and problems: In the unlikely event that you have any reason to complain or experience any problems with your break whilst away, you must immediately inform the supplier of the service(s) in question. Any verbal notification must be put in writing and given to the supplier as soon as possible. If you are still dissatisfied, you must notify us at the earliest opportunity. Until we know about a problem or complaint, we cannot begin to resolve it. If you remain dissatisfied, however, you must write to our Customer Care Team within 28 days of the end of the break you have purchased from us giving your booking reference and full details of your complaint. For all complaints and claims which do not involve death, personal injury or illness, we regret we cannot accept liability if you fail to notify the complaint or claim entirely in accordance with this clause. 12. Your Responsibilities: Bookings are accepted on the understanding that all persons travelling are normally in good health and able to fulfil the physical demands of a theme park break. It is your responsibility to ensure all members of the party are in possession of all necessary travel and health documents before departure. British Citizens do not require a passport or visa for the Alton Towers hotel package we offer. Irish citizens require a full Irish passport to enter the UK. A full Irish passport takes at least 5 weeks to obtain. If you or any member of your party is not a British Citizen or passport holder and are travelling from outside the UK please check passport and visa requirements with the Embassy or Consulate of the UK and any other countries through which you are intending to travel. We cannot accept any liability or associated costs if you are refused entry onto any transport or into the UK as a result of failure to carry correct documentation. 13. Conditions of suppliers: Many of the services which make up your break are provided by independent suppliers. Those suppliers provide these services in accordance with their own terms and conditions. Some of these terms and conditions may limit or exclude the supplier's liability to you. Copies of the relevant parts of these terms and conditions are available on request from the supplier concerned. 14. Special requests and medical problems: If you have any special request, you must advise us at the time of booking. Although we will endeavour to pass any reasonable requests on to the relevant supplier, we regret we cannot guarantee any request will be met. Failure to meet any special request will not be a breach of contract on our part. Confirmation that a special request has been noted or passed on to the supplier or the inclusion of the special request on your confirmation invoice or any other documentation is not confirmation that the request will be met. Unless and until specifically confirmed, all special requests are subject to availability. If you or any member of your party has any medical problem or disability which may affect your break, please tell us before you confirm your booking. Please note: for guests who require disabled parking at the Enchanted Village Lodges, you will need to display a blue badge and ensure you have booked an accessible Lodge. In any event, you must give us full details in writing at the time of booking. If we reasonably feel unable to properly accommodate the particular needs of the person concerned, we must reserve the right to decline their reservation or, if full details are not given at the time of booking, cancel when we become aware of these details. 15. Financial security: For hotel packages with Alton Towers theme park entrance tickets, we operate a trust account. This arrangement means your money will be refunded in the unlikely event of our being unable to provide your break due to our insolvency. 16. Call Monitoring and Recording: As part of our continuing effort to ensure you receive the highest service standards, we may monitor and record your call for training purposes. 17. Checking-in: If guests are staying in the Alton Towers Hotel or Enchanted Village Treehouses please check-in at the Alton Towers Hotel. For guests staying in the Splash Landings Hotel please go to the Splash Landings Hotel reception. For guests staying in the Enchanted Village Lodges please go to the Enchanted Village reception. 18. Directions: Please make sure you have directions to your hotel and the hotel's telephone number. Alton Towers Resort is well signed from the M1 and M6, basic directions are also provided on your email voucher. Directions should be used in conjunction with an up to date road map. 19. Overnight parking: Parking for the night of your stay at the hotel is included in the price as and where indicated, otherwise a parking charge is payable directly to the hotel. Parking is always at the vehicle owner's risk. Hotels own car parks are unsecured unless otherwise stated. Feedback from our own regular visits to the hotels, both on business & as customers. 21. Standard rooms: All rooms offer a private bathroom with shower and in most cases a bath (unless otherwise stated). 22. Breakfast: Is included unless otherwise stated. Where included, please check the earliest time it is available. 23. Leisure facilities: If available, may be charged for and certain restrictions may apply. For example children may not be permitted to use some or all facilities and some facilities may incur an extra charge. 24. Alarm calls: As hotels do not take responsibility for alarm calls we suggest you take a travel alarm. 25. Pre-authorisation at hotel: Please be aware that most hotels will ask you for a credit or debit card against which they can pre-authorise an amount in respect of any extras or other expenses charged to the room. The amount pre-authorised is at the discretion of the hotel and varies widely. In the event that any charges are payable you will be free to pay for these either with the pre-authorised card or by any other acceptable means. 26. ALTON TOWERS Resort Conditions: Theme park tickets : Height and all other ride restrictions still apply. Guests are admitted to the theme park subject to the Resort regulations which are displayed at the main entrance to the theme park, a copy of which is available on request. During the opening times of the Resort, the management of Alton Towers Resort will attempt to ensure that as many rides and attractions as possible are open for use by guests. However Alton Towers Breaks reserves the right to alter or change the programme of rides and attractions if at any time it is deemed necessary to do so. Tickets are non-transferable and accordingly may not be sold or passed to any third party. All persons entering the theme park must have a valid entrance ticket which must be retained during your visit. A child is aged between 3-11 years old (inclusive). A young adult is between 12-17 years old (inclusive) and adults are 18 years and over. Infants under 3 enter Alton Towers theme park free of charge. Please note open dated tickets are not valid for events. Alton Towers Breaks reserves the right to transfer tickets to another date at any time or offer an alternative ride in case of ride breakdown. Please note height, weight and chest restrictions apply on most rides. 2nd Day FREE promotion is based on the online full priced ticket, offer subject to change and availability. For the purpose of the adult to child ratio, an adult is regarded as a responsible adult over the age of 16. The responsible adult must accompany the children into the water. Entry may be refused if the policies are not met. Height restrictions apply of 1.1m on the Master Blaster. Bubbly Wubbly pool and Volcanic Springs have a minimum age restriction of 5 years. Children over the age of 3 can ride Rush and Rampage, however, if they are under 1.1m tall, they must be accompanied by an adult. For the interest of safety, the Waterpark will run on a one in one out basis if it hits capacity. Guests must be 16+ to enter the Aqua Relaxation Rooms, All spa experiences must be pre booked including Aqua Relaxation Rooms: emailspa@altontowers.com. The Alton Towers spa is open to over 16s only. All spa treatments and packages are subject to availability and change. 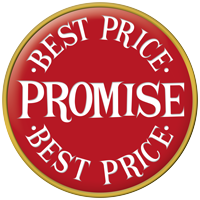 For full Terms & Conditions relating to the Best Price Promise, please click here.